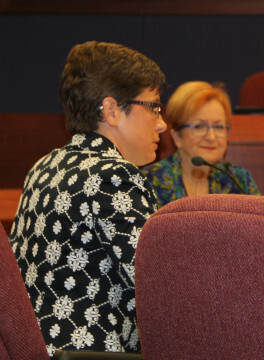 The members of the Sarasota County School Board this week gave consensus to a staff recommendation that the purchase of two parcels for new elementary schools be included in the draft of the board’s 2016-17 capital budget, though it is possible one or more developers could opt to provide property in lieu of paying impact fees. That draft also will have to reflect the need for more construction funds for the North Port campus of Suncoast Technical Institute, Kathie Ebaugh, the district’s planning director, told the board during its Nov. 17 workshop in Sarasota. The district’s capital budget for this year sets aside $11,252,742 for the North Port project, Ebaugh noted, but staff has acknowledged that will not be sufficient. Staff has not yet arrived at a gross maximum price, Deputy Superintendent Scott Lempe reported. 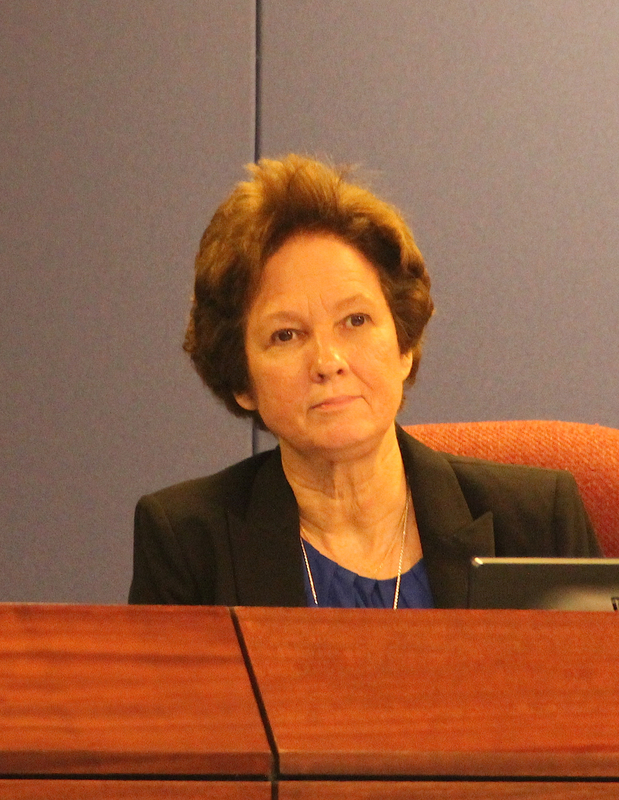 “Because we’ve changed about 16 times what we wanted to do [in the design],” board member Jane Goodwin pointed out. In regard to the new elementary schools, Ebaugh noted that those in the district are nearing capacity. Based on the district growth management study undertaken this year by the Tindale Oliver firm, she continued, one site will be needed for a new north Venice elementary school; the second, for a new central county elementary school. The preliminary estimate for a 25-acre parcel would be $2,575,000, based on a rough figure of $50,000 to $100,000 per acre, Lempe told the board, adding he hoped the latter number would be the highest the consultant would find in the search. Ebaugh said staff will have a better idea of the expense after its consultant reviews parcels that would fit the district’s needs. She stressed that it is important to get property under contract as soon as possible because land prices are rising. Staff already is working with representatives of the West Villages project in South County on accepting a parcel in lieu of the developer’s paying impact fees, Ebaugh said. The preliminary agreement, she added, is under review by School Board attorney Art Hardy. Several years ago, she pointed out, the state changed the law so a developer no longer is required to provide land for a school made necessary by construction of new homes. Instead, she continued, the developer can contribute property whose value is marked as a credit in lieu of impact fees. A property appraisal determines the amount of that credit, she added. On Oct. 19, the School Board voted 3-2 to ask the Sarasota County Commission to hold a public hearing on implementing impact fees for the district; none has been collected for the past five years. The figure for a single-family home would be $2,165. The county board will vote on the issue during its Dec. 8 meeting in Venice. According to the Tindale Oliver study, the first phase of the West Villages community in North Port will not be completed until 2020. Ebaugh explained that district staff is working with its consultant to find property close to the Border Road/Laurel Road area of the county for the north Venice elementary school. 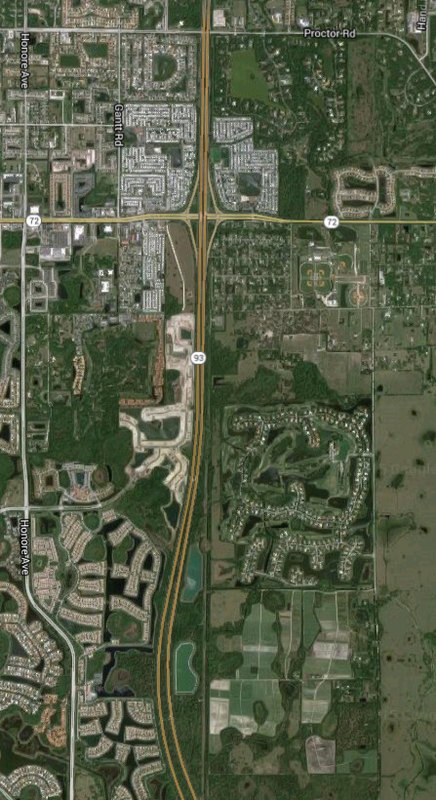 The firm is seeking a second site in an area bound by Proctor Road to the north, Myakka River to the south and the Honore Avenue/Pinebrook Extension to the west, with the parcel ideally closer to Clark Road, she said. That second school will be planned to serve homes in a Clark Road Properties project, Ebaugh noted, which will be east of Interstate-75 and south of Clark Road. Ashton and Lakeview elementary schools are expected to see significant growth in enrollment after Clark Road Properties begins selling its homes, Ebaugh added, and both schools are close to capacity. However, staff is set to meet next week with representatives of Clark Road Properties to begin preliminary discussions about whether it will give the district a piece of its land in lieu of impact fees, Ebaugh explained. “Which is good news,” Lempe pointed out, because that would give the district time to generate impact fee revenue to help cover the building expense. Although the board approves five-year capital budget plans, Ebaugh explained, the only projects firmly in place are those scheduled for the first year of each of those budgets. The current five-year capital budget, approved in September, calls for spending $10 million on renovations and a new cafeteria at Brentwood Elementary School in Sarasota in the 2016-17 fiscal year, Ebaugh noted. Those projects do not have to be completed at the same time, Lempe added. 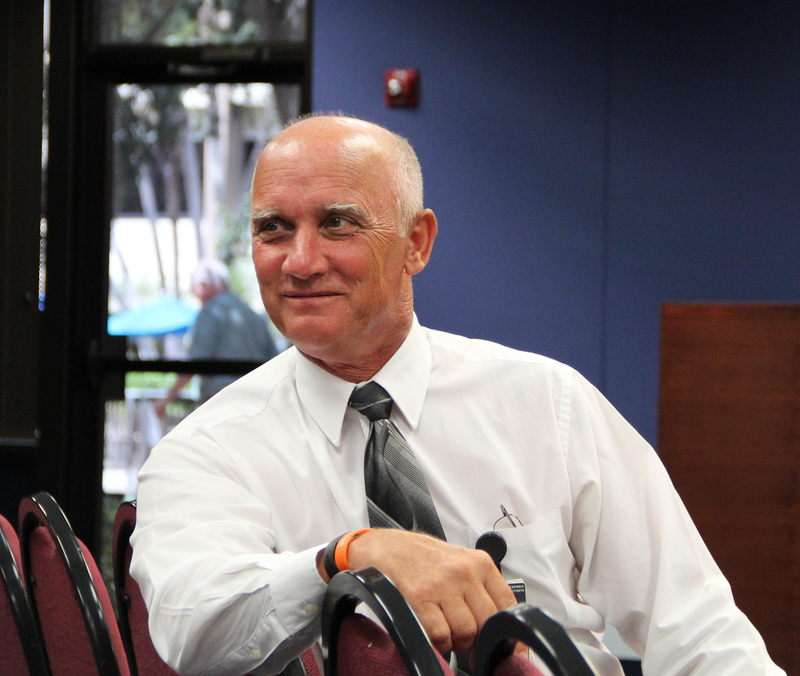 If the board chose to undertake the Brentwood projects — $5 million for each — in separate budget years, he continued, that would free up funds for the North Port Suncoast Technical Institute project. Several board members also pointed to past discussions about a new classroom wing at Gocio Elementary School in north Sarasota, which is estimated at $10 million in the 2017-18 capital budget. However, she added, wings previously planned at Garden and Ashton elementary schools may not prove worthwhile, because of projected new construction. The Garden wing tentatively is planned for the 2018-19 capital budget year, Ebaugh said. The goal is to avoid multiple years of schools being “extremely stressed” by capacity enrollment, Superintendent Lori White explained, including the early scheduling of lunch periods. Starting lunch service at 10 a.m., she noted, would indicate the need for a new school. At the conclusion of the discussion, Lempe and Ebaugh told the board members they would proceed with preparing a draft of the new five-year capital budget that would include the Brentwood and Gocio projects along with the acquisition of the two new elementary school sites. They would be back before the School Board in January or February 2016, Ebaugh said, with more information to help guide the work on the document. That will include a better estimate of construction costs for the North Port Suncoast Technical Institute, Lempe noted.